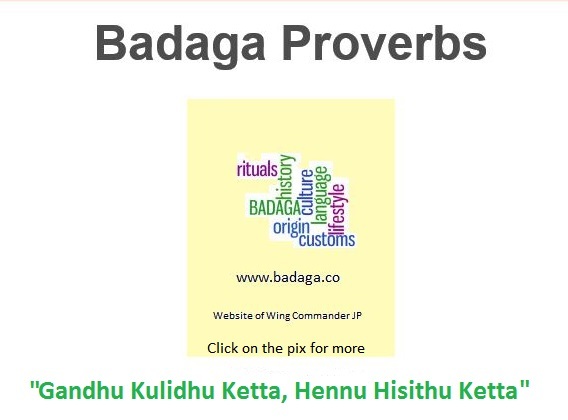 From time to time, there is a systematic DISINFORMATION about Badagas, their history, customs, culture and rituals in some publications by self claimed ‘authorities’ on BADAGA – both the people and language. I am informed that in the recent past, the Tamil weekly magazine KALKI, in a series named NAKKUBETTA by one Shyam, had published some highly derogatory information about Hethai [Goddess to Badagas and a mythical figure]. Also I understand, some well known Badaga Leaders like Rao Bahadur HJ Bellie Gowder, who was the contractor to lay the mountain railway line from Mettupalayam to Ooty during the British raj along with his son Rao Bahadur Ari Gowder have been shown in poor light. These two Nakkubetta leaders had brought a lot of reforms in Badaga Society. 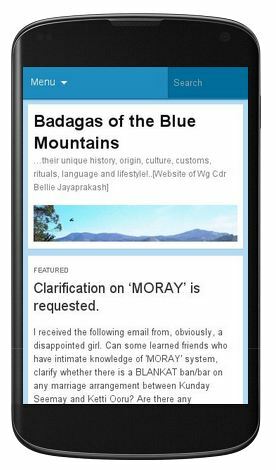 We are in the process of accessing these articles to take further appropriate action and request our friends to inform us about exactly what has been published. ‘Thank you for your prompt response. Please refer to Kalki issues dating from mid-January 2014 to 6th April 2014. The serial, “Nakku Betta” has some highly inaccurate, as well as derogatory comments about the Badaga community, culminating, in highly-ironical, and erroneous mis-information about the two greatest Nakku Betta leaders, Rao Bahadur H.J.Bellie Gowda, and Rao Bahadur H.B. Ari Gowda. Defamatory action needs to be taken against the author of this shoddy serial through Kalki’. Thank you for your prompt response. Please refer to Kalki issues dating from mid-January 2014 to 6th April 2014. The serial, “Nakku Betta” has some highly inaccurate, as well as derogatory comments about the Badaga community, culminating, in highly-ironical, and erroneous mis-information about the two greatest Nakku Betta leaders, Rao Bahadur H.J.Bellie Gowda, and Rao Bahadur H.B. Ari Gowda. Defamatory action needs to be taken against the author of this shoddy serial through Kalki.